Vitamins are essential foods which the body needs in small amounts, to work normally and to stay healthy. They are essential for proper growth in children, and for the preservation of good health for all. Vitamins are commonly classified under thirteen headings, using letters of the alphabet,and are considered according to their ability to be absorbed in fat or water. The vitamins which are soluble in fat are A, D, E and K, they are usually consumed with fat containing foods and the body can store them within its own fat. For this reason, they are retained over some period of time, so it is not necessary to eat or drink them each day. Water soluble vitamins are the B group and vitamin C. These cannot be retained in the body so we need to take foods which contain them every day. B6 or pyridoxine helps in the breakdown and assimilation of proteins. It offers protection to the heart and reduces oedema. Biotin is an enzyme that carries carbon dioxide and acts as an agent in the assimilation of some B complex vitamins. B12 or Cobalamin is very difficult to extract from vegetables, but Spirulina is rich in this rare vitamin. 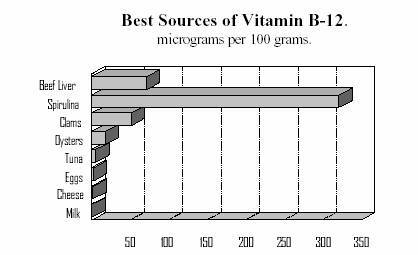 The deficiency of B12 is indicated in cases of pernicious anaemia, nerve degeneration etc. Pantothenic Acid is used in the adrenal glands along with vitamin C and cholesterol to produce steroids such as cortisone in response to physical and mental stress. Folic Acid is essential for making new red blood cells. Inositol keeps the liver healthy and balances blood holesterol. It is probably the most abundant vitamin in the body after niacin. Niacin is considered to be a cholesterol lowering agent as well as being essential to mental health. B2 or Riboflavin prevents eye problems and severe eczema. B1 or Thiamine maintains glucose level in the blood. A serious deficiency of this vitamin may result in death. E or Tocopherol. Preserves heart and vascular health and retards ageing. Carotenoids. Some substances in plants are not always true vitamins, but they may be something from which the body can produce its own vitamins. The carotenoid compound of Spirulina is just such a substance. Carotenoids act as free radical quenchers, so they behave as a protector for the body's own cells. Normally, vitamin A is available only from the liver of some animals. Since vitamin A from animals is fat soluble, the human body stores it with its own fat reserves and it is not naturally expelled when an excess is consumed. Hence, vitamin A poisoning can occur. 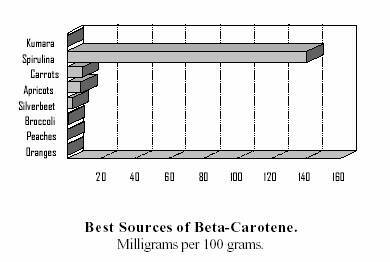 Beta-Carotene is a very important antioxidant. There are some sources which are artificial, and others which exist within some of our vegetable foods. The latter group or natural beta-carotenes are much to be preferred since the body can absorb these much more quickly. Several studies have indicated that people whose diet contains a lot of beta-carotene tend to have a lower risk of developing cancer. Other developing cancer. Other advantages are that natural sources do not contain preservatives or colouring materials. Many common foods are rich in beta-carotene and may be enjoyed for their flavour as well as their goodness. Kale and spinach with their dark green leaves, broccoli, pumpkin, carrots, squash, papayas and cantaloupes all supply this important substance. Green and yellow vegetables in general should be embraced as important foods for good health. Spirulina of course is very rich in beta-carotene, and by using it regularly you'd ensure the body was not in need of this essential food. Depending upon growing conditions, Spirulina will be from 65% to 71% protein. This protein content is said to be biologically complete. 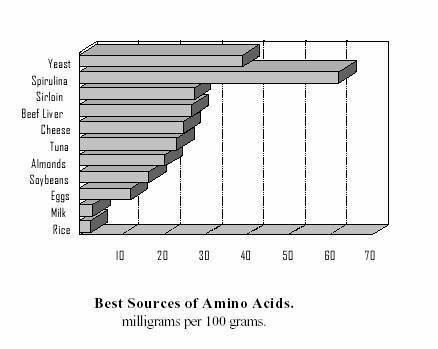 That means that all eight essential amino acids are present in their correct ratios. A lot of plants contain various ranges of protein, but with differing quantities of amino acids. Thus some degree of incompleteness will exist. Here again Spirulina is different in that it contains a total of 18 amino acids in the exact proportion to mother’s breast milk. It has these eight complete amino acids regarded as ideal for the human body. Regrettably, the human body is unable to store amino acids, so when incomplete foods are taken, there is frequently an imbalance in the diet. Spirulina can come to the rescue with its full range of complete amino acids. These are as follows. Isoleucine (4.13%). Needed for growth, intelligence development and nitrogen balance within the body. Also assists with synthesising other nonessential amino acids. Leucine (5.8%). Helps to increase muscular energy levels and stimulate brain function. Lysine (4.0%). used for forming blood antibodies, improves the circulatory system and promotes cell growth. Methionine (2.17%). Vital for metabolising fats and lipids that maintain a healthy liver. Also helps calm the nerves. Phenylalanine (3.95%). Used by the thyroid for the production of thyroxin which in turn governs metabolic rate. Threonine (4.17%). Improves competence of the intestines and thus aids digestion. Tryptophane (1.13%). Enhances the use of B group vitamins, improves nerve fibres. This in its turn contributes to emotional stability and calmness. Valine (6.0%). Assists with the co-ordination of the muscular system as well as contributing to improved mental capacity. Another group of amino acids are termed as nonessential, and there are twelve of these. Well Spirulina doesn't have all of them, but does have ten; not bad eh? Non essential means that if not present in normal foods, they can be synthesised; it does not mean that the body has no need of them. Again, the following list is that of the non essential amino acids which Spirulina can provide. Alanine (5.82%). Strengthens the walls of cells. Arginine (5.98%). Important for the production of (male) seminal fluid which is about 80% arginine. Assists in keeping the blood clean. Aspartic Acid (6.34%). Helps with the transformation of carbohydrates to energy. Cystine (0.67%). Aids with pancreatic health and thus stabilises blood sugar etc. May help towards alleviating food allergies. Glutamic Acid (8.94%). Along with glucose it fuels the brain cells. Can reduce the craving for alcohol and also stabilise mental health. Glycine (3.5%). Promoter of energy. Histidine (1.08%). Improves nerve relays, especially in the hearing organs. Has even been used as a remedy for deafness. Proline (2.97%). A Precursor of Glutamic acid. Serine (4.0%). Helps with the formation of the fatty sheath surrounding nerve fibres. Tyrosine (4.6%). 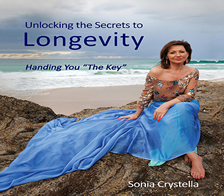 May slow the ageing of cells and suppresses hunger. Involved in the colouration of hair and skin, and indeed helps with sunburn protection. Spirulina is very high in chlorophyll. It has an average of three times the amount of the green gold of other highly developed green plants. The dark green colour of Spirulina comes from the large amount of plant blood or in other words, chlorophyll, which is only one molecule different from haemoglobin in human blood and with it, a very important substance in a healthy diet. Chlorophyll in plants collects sunlight. This “light-energy”, as Dr. Fritz-Albert Popp, Germany, calls it, is an important key factor in the human metabolism and cell communication. Already in 1915 Prof. Richard Willstätter was honoured for his research about chlorophyll with the Nobel Prize. He proved, that chlorophyll is able to produce living substances from dead matter with the help of the stored, converted sunlight. Dr. Ingfried Hobert, Germany, Chairman of the International Federation to Research and Develop Traditional Healing Methods and author of the book “Das Algen Gesundheits Buch” (The Algae Health Book), highlights in his book the benefits of chlorophyll in maintaining good health. Chlorophyll is mentioned for the prevention and treatment of gastric and duodenal ulcers, acne, to strengthens the heart muscles, build up immunity and energy, as a possible anti-bactericide, only to mention a few. Along with vitamins, we are always told how important minerals are. Well, to most people minerals come from rocks to form stalactites, or simply make washing water harder to wash with! Minerals really are chemical elements which we know are very important for good health. They are used in extremely small amounts however. 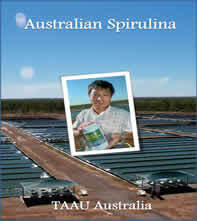 Spirulina grows in shallow ponds which contain very high concentrations of minerals. These ponds are very alkaline and in fact almost no other plant life can survive in this type of environment. Spirulina has the ability to lock many minerals into amino acids. By doing this, when we consume Spirulina, we receive the minerals in a form which our body can readily make use of. This next list shows those minerals and trace elements which Spirulina can provide. Calcium (1,315 mg/Kg). The most abundant mineral in the human body. Essential for strong bones and teeth. 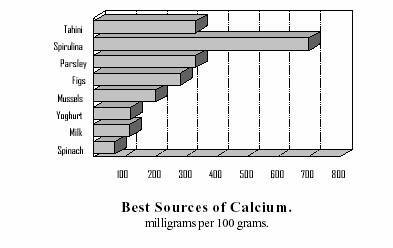 Calcium also contributes to nerve transmission ability and absorbs acids in the body. Potassium (15,400 mg/Kg). Used for regulating electrolytes. A deficiency can lead to heart attack and muscular collapse. Zinc (39 mg/Kg). Assists with mental health, skin tone, prostate function and the ability for wounds to heal quickly. Magnesium (1,915 mg/Kg). Assists with the assimilation of vitamins B and C and also some proteins. A deficiency may lead to muscular and cardiac problems. Manganese (25 mg/Kg). Activates enzymes together with zinc. Helps stabilise blood sugars. Selenium (0.40 ppm). Improves cardiac efficiency, reduces some types of toxicity and may retard ageing processes. 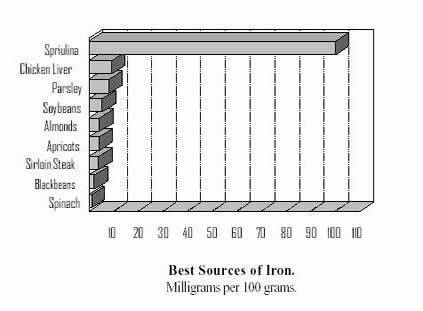 Iron (580 mg/Kg). Used for making haemoglobin, the oxygen carrier in the blood. Phosphorus (8,942 mg/Kg). Found in almost every cell of the human body, and together with calcium contributes to strong bones, and assists with digestion of carbohydrates. *This article is reproduced with permission.